Thank you for choosing to add events to our events list. Fill in the listed fields and submit this form to continue. All submitted events will be reviewed by our editorial department and are subject to approval before being posted. Please allow 30 days in advance for your submission. IKare Publishing will attempt to use information sent when it fits in with the timeline of the newsletter you select and space. 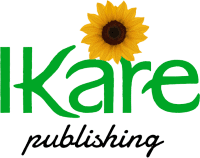 Submit your information below through the form and forward a logo to the following email address: IKarepublishing@gmail.com . Thank you!